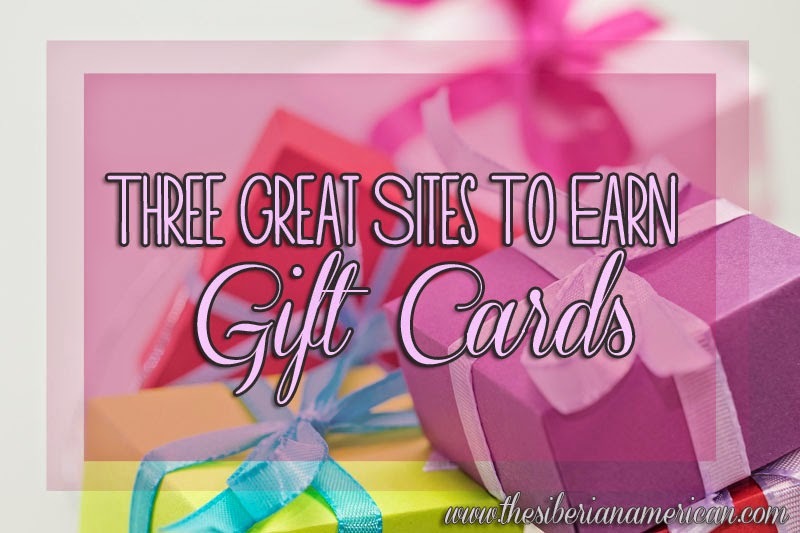 A few months ago, I wrote a post about my favorite survey sites to make extra money, so today I thought it would be fun to share my favorite sites to earn gift cards. I love discovering new ways to earn extra money, and last Christmas I bought many presents with the gift cards I earned. Swagbucks is probably the most popular site to earn gift cards. There are many opportunities to earn points, such as surveys, searching the web through the Swagbucks search system, watching videos, shopping, printing coupons, and more. However, out of the three sites, Swagbucks is my least favorite because it takes the longest to earn gift cards. At Crowdtap, you earn points by communicating with various brands through quick hits, discussions, and sample opportunities. At the end of the month, your points are entered into giveaways for various gift cards. Although you can’t directly redeem points for gift cards, Crowdtap is a fun community, and I get at least one gift card each month (and sometimes quite a few more)! I first discovered MyPoints because it’s the way you earn prizes through BzzAgent, but since then, I have redeemed points through shopping, surveys, and deals. My favorite part about MyPoints is that there are so many great gift card options. So far, I have redeemed my points for gift cards to Cheesecake Factory, Loft, and Macy’s. I haven't heard of MyPoints or CrowdTap, but I will definitely be checking them out! I had heard of SwagBucks but those other two are brand new to me. What a cool way to earn a little extra spending money- I mean, present-buying money! I really should start using more of these sites for my shopping. It would be nice to get some gift card kickbacks! I haven't heard of many of these sites but what a great way to do some shopping. i didn't know about the other 2 but swagbucks is my jam! Thank you! I use Swagbucks regularly, but have never heard of the other two. I'm checking them out now! I've never heard of any of these but I'm going to have to check them out! Thanks for sharing!! Havent heard of two of them but thanks for sharing! I've never heard of any of these but I'll definitely have to check them out! Thanks for sharing!